Guadalajara is the capital of Jalisco is the country’s second-largest city with a population of 3.5 million and is one of Latin America’s wealthiest urban centers and an attractive place to host events, including the Pan American Games and the annual book fair! Those who love Guadalajara say it embodies nothing less than the soul of the nation. Guadalajara is home to mariachis and the charro tradition, a distinctly Mexican-style rodeo. Guadalajara is affectionately known as La Perla del Occidente (‘Pearl of the West’). Guadalajara rests on a highland plateau at an altitude of 5,200 feet (1,590 meters). With sunny days and cool nights, the city has a spring-like climate year-round. Days are generally warm and sunny, humidity is low and evenings are cool and clear. Given the altitude, it gets cool at night, so you might need to dress warmly. The warmest days are in April and May before the summer rains. Check the forecast. West of the city by 20 kilometers (12 miles) is Bosque La Primavera. If the city is a pearl, this forest is an emerald that protects endemic plants and animals and is frequented by hundreds of hikers and cyclists, particularly on the weekends. Large in size — 36,229 hectares (89,485 acres) – it is filled with pine and oak trees. The agave Guadalajarana is endemic to this region. In the city, there are hundreds of small parks and plazas. Just north of town is the Barranca de Oblatos, a spectacular canyon with a depth of 600 meters (1,900 feet), at the base of which runs the Santiago River. The best views come from afar and one of the best is the Parque Mirador on Calzada Independencia. There are several observation platforms and an open-air theater. Parque Agua Azul is one of the most visited parks. The park has an aviary and attractions for children. Open 10am-6pm daily, except Mondays. Bosque El Centinela is located in the suburb of Zapopan on Avenida Periferico Norte, about 3.5 kilometers (2 miles) from downtown. It has 109 hectares (269 acres) of pine and eucalyptus forest. Parque Metropolitano is one of Guadalajara’s first ecological areas and a a relaxing place for family outings. The park is located in the western part of the city on Avenida Beethoven in the La Estancia neighborhood. Great for people-watching is the long series of plazas downtown. Plaza Guadalajara, Plaza de la Liberación and Plaza Tapatía are bordered by the Cathedral, the government palace, the state museum and the Cabañas Cultural Institute. Plaza Tapatia is a pedestrian mall that stretches several blocks. The state tourist office is located just east of the ornate Teatro Delgado. The Hospicio Cabañas is a national landmark, just a block from Mercado Libertad. Founded by Bishop Juan Cruz Ruíz de Cabañas y Crespo in 1810, the building originally served as a hospital and orphanage. It continued service as a hospital until 1980, when the Cabañas Cultural Institute, with affiliated schools for arts and crafts, moved in. UNESCO designated the building a World Heritage Site in 1997. You’ll find 50+ murals painted by Jalisco’s own José Clemente Orozco that interpret the broad span of Mexican history. Located on the east end of Plaza Tapatia, in front of Calzada Independencia street between Javier Mina and Dionicio Rodriguez, Mercado Libertad is the largest enclosed market in Latin America. The three-story structure has more than 1,000 vendors who sell local glass, leather goods and other crafts. Comedores (food stalls) offer local cuisine at great prices. The market is also known as Mercado San Juan de Dios. The city has distinctive crafts. The suburbs of Tlaquepaque and Tonala are known for their ceramics and recycled glass. Tonala boasts more than 400 workshops and has been producing pottery for centuries. Tlaquepaque is more orderly than Tonala. The stores are upscale and there are fewer workshops. You’ll find leather chairs — equipales — in the nearby village of Zacoalco de Torres to the south. Mariachis are a home-grown tradition in Jalisco. The Plaza de los Mariachis is much like Mexico City’s Plaza Garibaldi, famous but a bit neglected. Each September Guadalajara hosts the international mariachi and charreria festival. The State Band performs Thursdays and Sundays in the Plaza de Armas at 6:30pm. Local favorites include the torta ahogada, literally a drowned sandwich. The hard roll, berote, is filled with sliced pork and then dunked in a spicy salsa. Guadalajara has three teams in Division A Soccer — Chivas, Atlas and Tecos. The Chivas are one of the oldest teams in Mexico. Amateur sports clubs include Rhinos Rugby. Avenue Juárez is closed to motorized traffic Sundays from 8am-2pm as the street becomes a showcase for bikers and joggers. The Via Recreativa was launched in 2004 and has been a big success. Guadalajara has numerous universities. 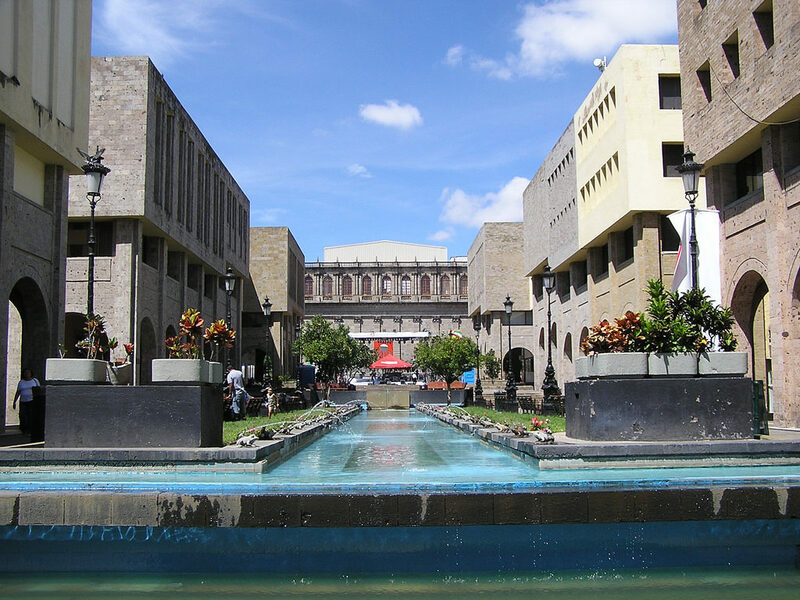 Among the nation’s finest schools are the Autonomous University of Guadalajara, ITESO and the University of Guadalajara. The suburb of Zapopan celebrates a corn festival each September. The pedestrian mall, Andador 20 de Noviembre, is experiencing a bit of a renaissance, with a 2005 renovation to its landmark Plaza de las Américas, in front of the Nuestra Señora de Zapopan Basílica. The nearby town of Tequila is world famous for its distilleries and seemingly endless fields of agave. Another interesting place is the magical mountain town Tapalpa. Lake Chapala and Ajiiic are nearby. Location – Guadalajara is located in the state of Jalisco at 20°39’58″N, 103°21’7″W, west of Mexico City and east of Puerto Vallarta and 35 miles (56 kilometers) east of Tequila. Transportation – Don Miguel Hidalgo y Costilla International, aka Guadalajara International Airport (GDL) has international and national service. Two bus stations serve Guadalajara. The old one, south of downtown on Niños Héroes off Calzada Independencia Sur, is a hub for buses to Lake Chapala and nearby towns. The newer station is 10 kilometers (6 miles) southeast of downtown, is for longer trips to Mexico City, San Miguel de Allende and other cities. Festivals – In the fall the city hosts its Festivales de Octubre. 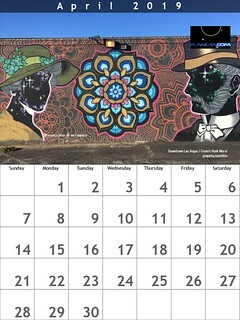 The month-long event includes art exhibits, craft displays, parades and sports. Slang – Locals are known as Guanatos.